For more than thirty years, the cowboy music and comedy quartet Riders In The Sky have been keepers of the flame passed on by the Sons of the Pioneers, Gene Autry and Roy Rogers. 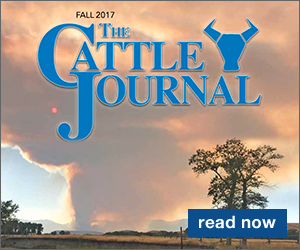 Reviving and revitalizing the genre, the group previously honored Autry with Public Cowboy #1: A Centennial Salute To The Music Of Gene Autry. Consisting of guitarist and lead vocalist Ranger Doug, upright bassist Too Slim, fiddle player and vocalist Woody Paul and accordionist Joey, the CowPolka King, the group's way-out Western wit and velvety, harmonious tones have earned them a following among all ages. Riders' fans, affectionately called buckaroos and buckarettes by the band, are encouraged to live life "The Cowboy Way!" Since their first performance in 1977, the Riders have chalked up more than 6,100 concert appearances in all 50 states and 10 countries. To date, they are the only exclusively Western music artists to join the Grand Ole Opry, the longest running radio show in history. Ranger Doug also hosts Ranger Doug's Classic Cowboy Corral heard weekly on SiriusXM Channel 56. Western movie, music and TV star Roy Rogers is celebrated in a 2015 release by the group. The 14-track album, Riders In The Sky Salute Roy Rogers: King of the Cowboys, pays homage to Rogers (1911-1998) who rose to the top in an era when Western stars were at their zenith. The Grammy Award-winning Riders salute Rogers, founding member of the Sons of the Pioneers and undisputed "King of the Cowboys," with favorites from his long career including "Don't Fence Me In," "Happy Trails (To You)" "Yellow Rose of Texas," "My Adobe Hacienda," "Along the Navajo Trail," "Roll On Texas Moon," and "Blue Shadows On the Trail." If you appreciate old-time cowboy songs, this is a must-have album for your collection. The Riders' treatment of these classics is nostalgic yet sophisticated, taking the listener back to the days when cowboy heroes ruled the box office and airwaves. 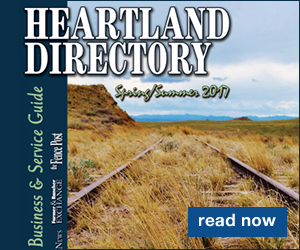 You'll enjoy riding down the trail with this group of accomplished entertainers. 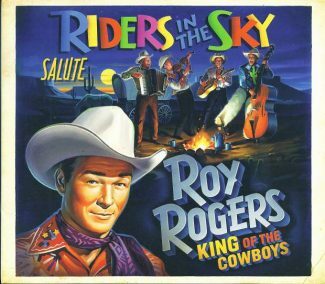 Tangible copies of Riders In The Sky Salute Roy Rogers: King of the Cowboys sell for $20 plus shipping from ridersinthesky.com. Downloads are available. 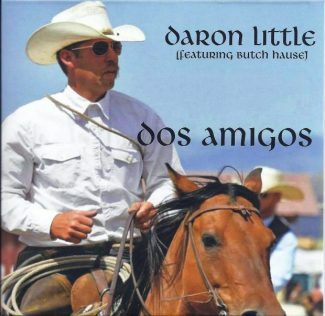 Order Dos Amigos for $10 from Daron Little, PO Box 314, Encampment, WY 82325; 307-761-3251; ranchcowboymusic.com. Downloads are also available. While you're there, take a listen to samples from his other albums. Ranch Cowboy Music is a favorite of mine.